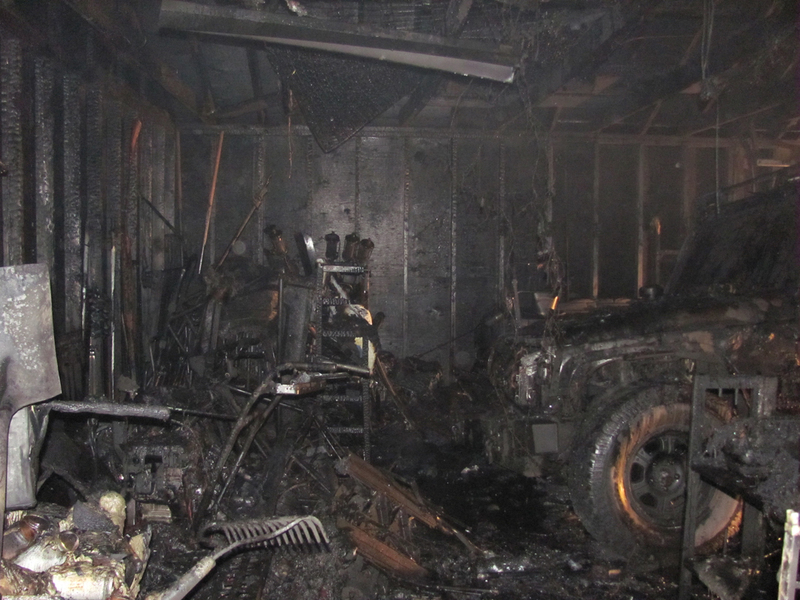 On July 12, 2012 at approximately 12:40 AM all three companies in Springfield Township responded to a garage fire in Erdenheim. Upon arriving on the scene Chief 6 confirmed a fully involved garage and took command. Flourtown’s Engine 6 lead off with 1 3/4 inch hose and made access to the garage via a side door, knocking down the bulk of fire while making progress from the driveway to the side door. 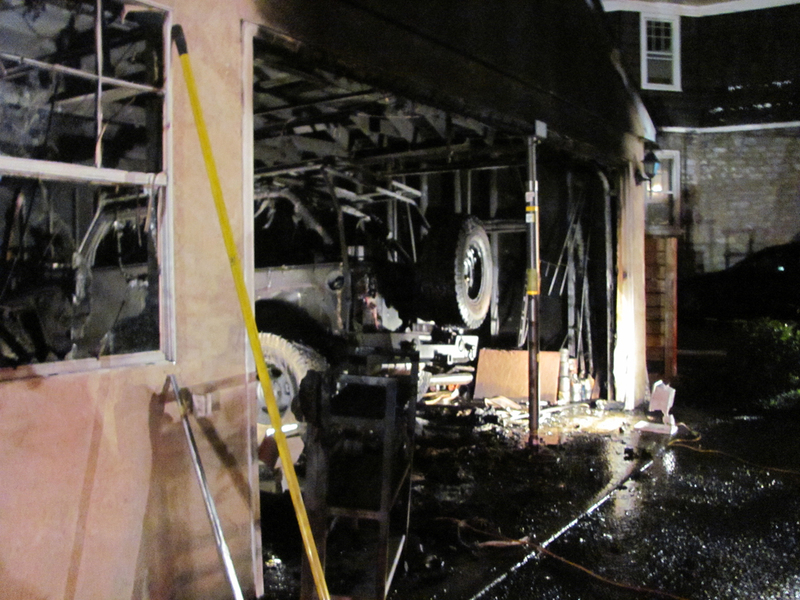 Oreland and Wyndmoor supplied additional hose lines, manpower and a water supply while Ladder 6 and other crews removed the garage door. 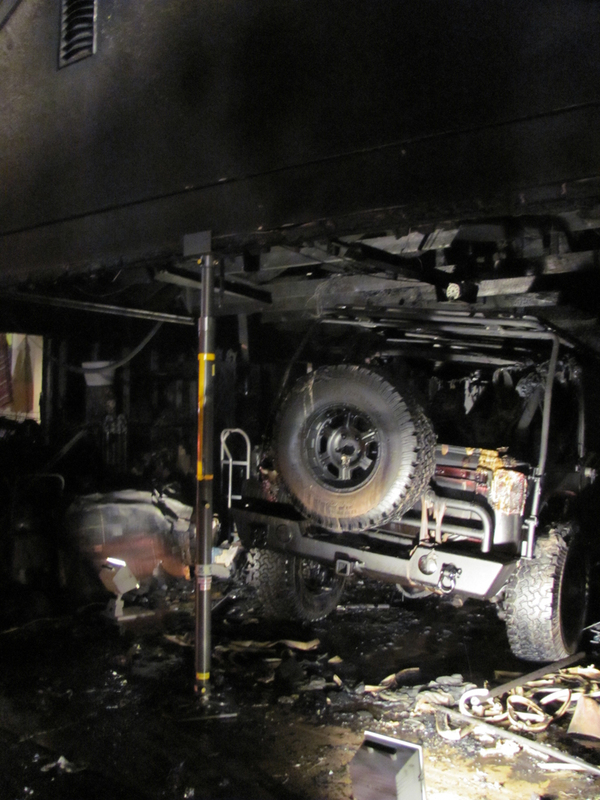 A vehicle and the contents of the garage were destroyed in the fire. 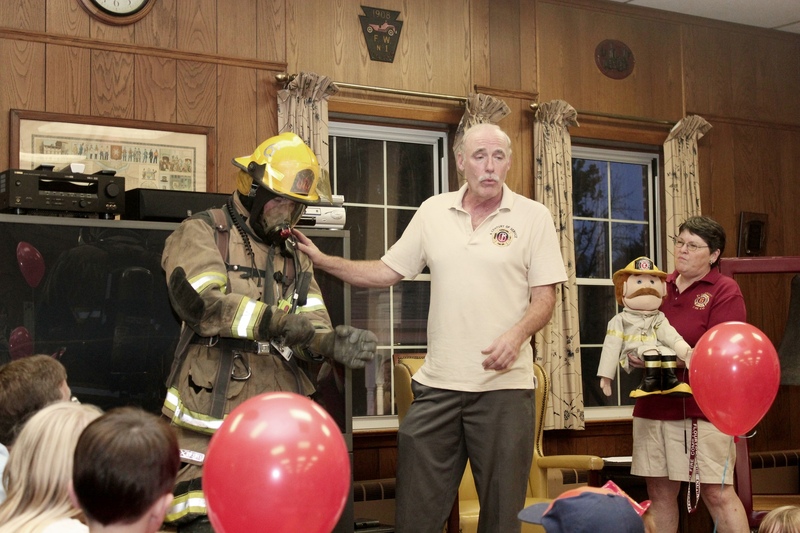 Thanks to all who came out Fire Prevention Open House 2011! We had large crowds of enthusiastic children and families all eager to learn about fire prevention, escape plans, smoke and CO detectors and, of course, Scooby Doo! All the trucks were on display and thanks to Sprinkles Ice Cream and Water Ice for supplying a cool treat. Lt. John Redington sweated it out over a hot (and sometimes out of control) stove, but offered valuable lessons on how to deal with grease fires. Thanks go out to Gene Rahill, Jim Belcher and Marcia Thompson who lead our Open House activities and all the public for coming out to support our efforts. 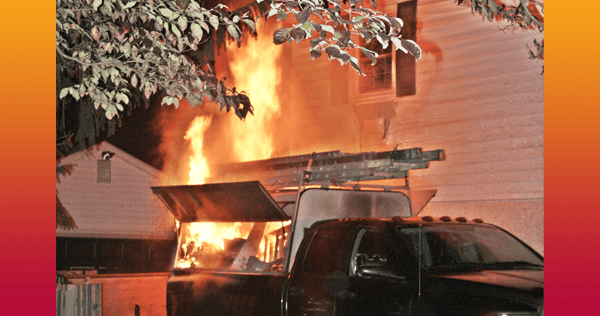 A little after 10PM on Wednesday, October 5, 2011, a truck on fire next to a home was reported. Squad 6 and Engine 6 followed by Utility 6 responded to 305 Penn Oak Rd. Command 6 responded from around the corner and hit the fire with an extinguisher to help beat it back. The rear of painter’s truck was on fire with drop clothes, paint and tools fully involved and melting the siding on the home to which was parked adjacent. Squad 6 pulled a 1.75 hoseline and a booster hose to protect the exposure and worked to clear out the rear of the truck to extinguish the burning contents. Engine 6 followed with supplying tank water to Squad 6 and doing an interior search for extension, none was found. 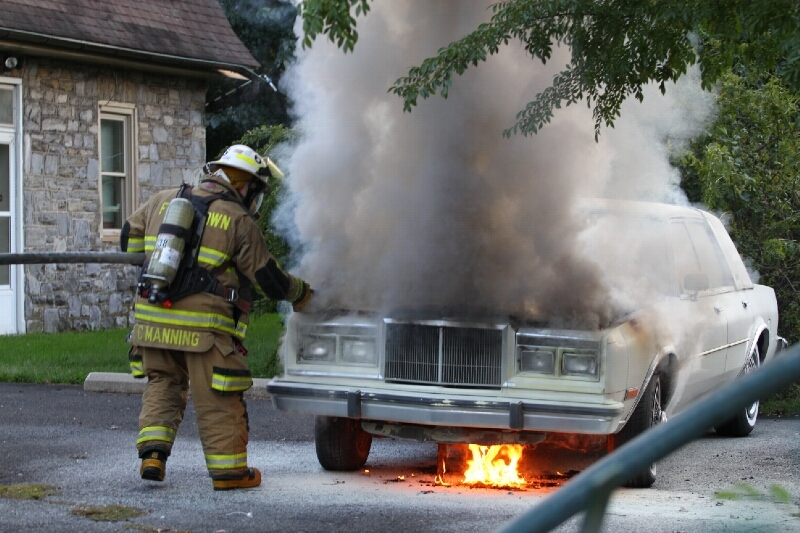 Engine 6 and Squad 6 responded to a reported car fire to the rear of St. Genevieve’s School. Units arriving found a car with an engine compartment fully-involved. Their was some access issues as the vehicle was behind a chain-linked fence. A 1.75 line was put into service.